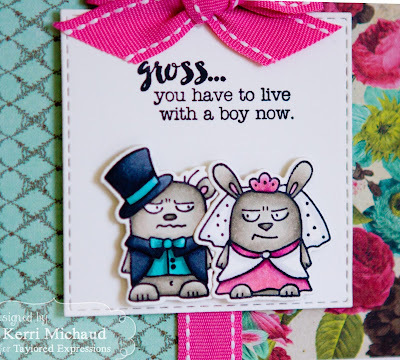 TE Sneak Peeks: Gross, You Have to Live with a Boy Now! Hello! It's Day 1 of Sneak Peeks from Taylored Expressions! All of the new products will be available on Thursday, March 3rd at 7AM PST! For my first card today, I used the hilarious new set Mr. & Mrs. Grumplings! These sentiments are sure to bring smiles to the new bride and groom's faces:) I stamped the images with Memento Tuxedo Black and colored with Copics. I cut them out with the coordinating Mr. & Mrs. Grumplings Dies and popped them up with foam tape over a panel cut with a Stitched Square Stacklet. I stamped the sentiment directly onto the panel. 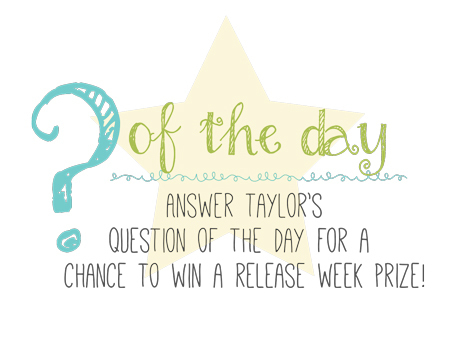 The dp I used is Prima Madeline and the layout is MOJO435. 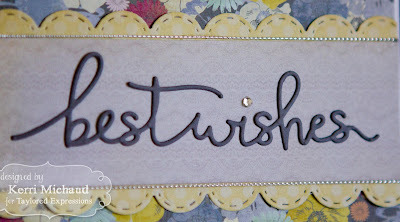 For my next card I used the beautiful new Best Wishes Script Die. You can use this sentiment die for so many occasions! I cut my sentiment out of Earl Grey cs and layered over some My Mind's Eye Fiddlesticks dp. 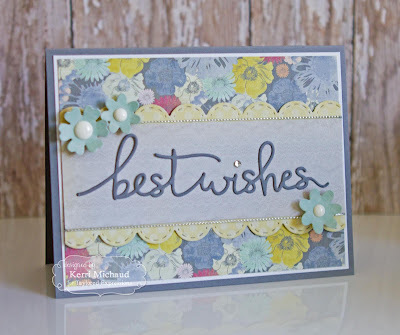 I cut the scallop borders using the Stitched Scallop Edger Die and added the sweet flowers using the Mini Bloomers Dies. I also used some Silver Metallic Twine to line either side of the sentiment. LOL. 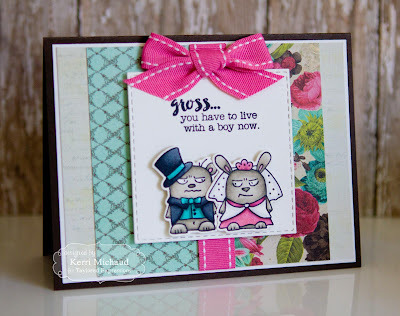 Kerri, this is SO cute for a young couple! I LOVE this set AND your card! Good job!